It was no ordinary zipwire flight. Thrust into the magical world of Hadrixia, flame-haired Zara Bulmer and her three teenage companions must thwart the Dark Ruler of Hadrixia in their quest to locate the Stone of Exerith. The fate of the Empire depends on their success…and safe return to Star Camp. On their journey, the foursome must tangle with vicious creatures like the horn-headed Warnoks and the venomous web-tailed Tarquids. Will they succumb to the persuasive chants of the fire-loving Brozigs or be mauled to death by the tree-swinging Harnts? The friends join forces with Hadrixian teenager, Quinn, and encounter the kindness of Semyon, an aged wizard potionmaker. Will Zara fulfil the destiny bestowed upon her before the sun sets on the last day of July? Or will the Portwall to the Outside remain sealed, imprisoning the four intrepid teenagers in Hadrixia, consigning them to a future of chaos, destruction, or even death? 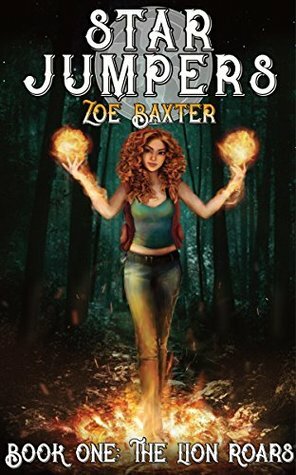 Zoe Baxter is the author of the Star Jumpers series, a fast-paced urban fantasy adventure set in the Dark Sky Park of Northumbria. An avid scribbler, she lives in a world filled with vicious and venomous creatures breathing down her neck, and has even been known to take the odd zip wire flight in the name of research. While on a zipwire flight, four teens are transported to the magical world of Hadrixia. Hadrixia is under the control of a Dark Lord and it is up to Zara, Oscar, Fergus and Aimie to stop him. The former emperor and his eldest son, Max and Rufus, have chosen the teens and are not initially impressed when they first meet them. None of the teens really knows the other and are filled with their own self-doubt but as they progress along in their quest they learn of their own strengths and how to work together. This is a great story for teens and even middle grade readers. You have four very different teens that are thrown into an adventure with fierce creatures and trying to save the world. I love how no one is really impressed with Zara yet she rises to her duty as a leader in all aspects. If you like a great YA fantasy you need to check this book out. 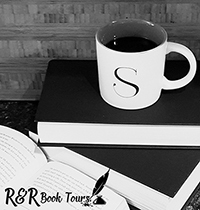 There is a little bit of everything from magical worlds, creatures, and the darkness that wants to rule. I think this is a great start to the series and I can’t wait to see what happens in the next book. You are very welcome. Thank you for a great story! !